and hardware is Grade 5 Ti. This washer has a narrower head than standard. check the OD of the washer bore you need. 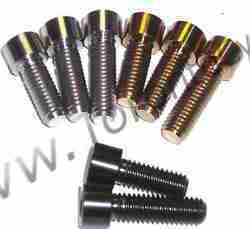 Bolts over 25mm are not fully threaded. These Bolts over are fully threaded. 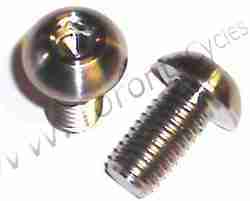 Please note the head style on these titanium bolts can vary. This style of button head will be phased out. This is a titanium water bolt pair. 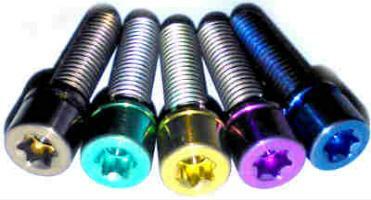 Anodizing Prices for coloring ti include your entire order. The photos on the ti anodize page are better representations of colors. I cannot make black on demand. This is a special process and have on the black ti bolt page. These are finer thread than normal. 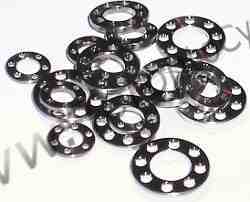 Used on some hubs and motorcycle. 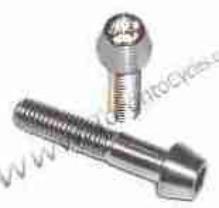 Other bolt items related to a component are on other pages. 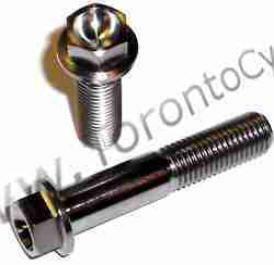 Owned and Operated by Toronto Cycles Productions Inc.
Countersunk Bolt measurements include the head. the recess portion of the body. 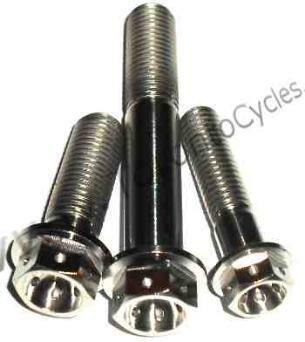 standard 3mm bolts. 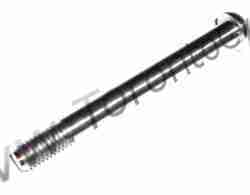 The head OD is 4mm. to the guide plate portion of the body. 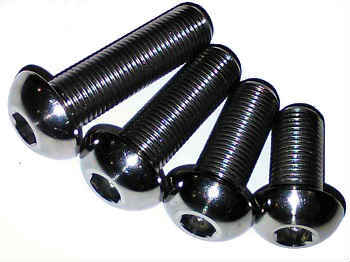 standard 4mm bolts. 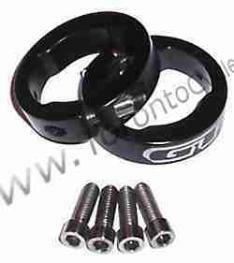 The head OD is 5.4mm. diameter and a standard bolt won`t fit. 4mm Hex Socket, 5mm bolt. M6 Threads. Shallow head Style. M8 Threads. Shallow head Style. these. I do not know specific applications. M5 is a common size for spindles. I can color most ti into various colors. 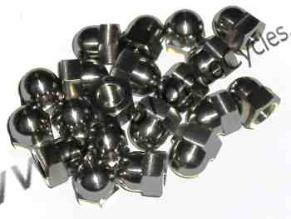 Please check out titanium anodizing page. 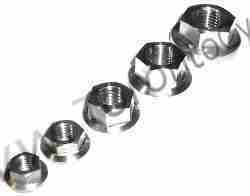 Example: An M6x40 is generally threaded 25mm and un threaded 15mm. 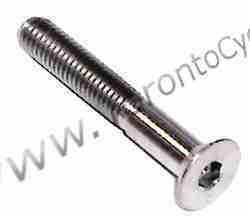 Metric Countersunk Bolt measurements include the head. Please check the measuring page if you have any questions on how bolts are measured. Please Note: If the add to cart button is missing then I am out of stock on that item. 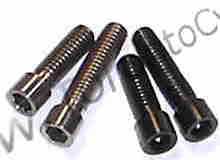 We stock American and Custom Titanium Bolts Too! threads cannot be too long or will bottom out. pedals. These work on most pedals. 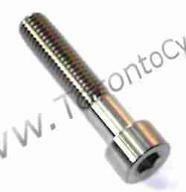 T25 Torx Socket, 5mm bolt. Titanium studs do not have an allen key socket. hub makes without seeing the bolt in person.